Evening until 11pm close. Oddly everyone was out on the dot of 11, perhaps showing bank holiday fatigue. Evening. Had walked past earlier and noted the midnight closure advertised outside for a Monday thus leaving time for a quicky in the Brockley Jack. At 1105, upon entry, was told had closed at 11 and had been closing on Mondays at 11 for several weeks. When I challenged the opening hours sign outside I was told "Guess we need to change it". Just after noon on a wet Thursday, seven of us came in here for the first pint of the day on a tour on South East London pubs. My only complaint was that we had to ask for our pints to be topped up to the brim, at £4 per pint I want a full one. 12:00 First stop on a South London pub crawl, seven pubs, all new to me. Two other customers. The seven of us sat at the large table in the window. Pleasant enough place. Brockley - Red Ale 4.80 Tasty beer. Even better as Chris E bought the first round as birthday beer. Age 16 3/4. Blessed relief to find good beer here after a very disappointing experience at a pub nearby. Standing room only with a pub quiz in full swing – I was assured that it was not a London Beer City event. Truman's - Tail Feather 3.50 Fresh and sharp and lemony and pale. Pitfield's - N1 Wheat Beer 5.00 Orange-coloured and cloudy. A fragrant Witbier strongly flavoured with vanilla and orange zest. Fairly busy for our lunchtime visit, our first since they were closed following a fire. Much the same interior layout and décor. We had a good meal with pleasant service. Moor - Dark Alliance 4.70 Black looking ale with hoppiness and a hint of coffee. Evening. Dark interior. £4 pp will deter my re-visits. Arrived at lunchtime to find a Halloween decorated hostelry. The place was busy, but my family and I had a pleasant meal served by friendly and helpful staff. For those inclined there was a pumpkin carving competition! Adnams - Ghost Ship 4.50 Strong flavoured and most enjoyable guest brew. Arrived at lunchtime with my wife to find the place had a few customers. We had a light meal in this friendly establishment. St Austell - Tribute 4.20 Rather cloudy and sharp to the taste but drinkable. Came here for my niece's first birthday. The pub was very pleasant with lots of ceiling-wax red and fancy mirrors and the like. There were 2 raised rooms at the back, each with its own character. Timothy Taylor - Landlord 4.30 Mine was a bit cloudy but my niece's Grandfathers' weren't. Anyway, it had good toffee like caramel at the back of the mouth with a ballanced hop finish. I'd have given it a 4/5 if it hadn't have had a slightly soapy mouth feel to it. 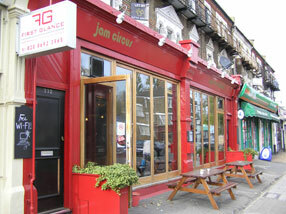 The pub is found in Brockley, Greater London, SE4 2BT. 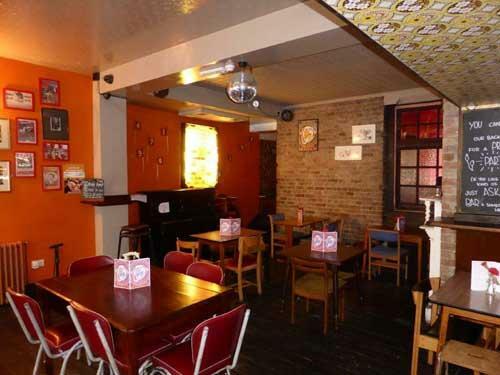 This is a split level 3 roomed pub, near Crofton Park railway station, with shabby chic tables and chairs at the front, padded upholstered bench seating in the right back room and almost a 50s domestic living room feel to the left back room. Run at one time by Antic it was then operated by Gregarious Limited. Re-opened on 7th November 2013 after a long period of closure following a fire. 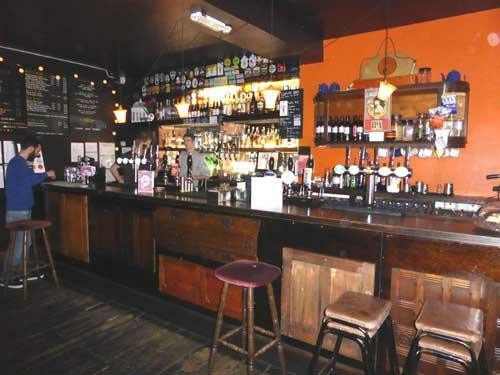 The bar counter to the right has 6 handpumps. There is an outside veranda with seating on the street side which has a shop awning cover. Upon re-opening would seem to be back in the Antic fold once more. One of a number of Antic pubs placed on sale in 2018 and press reports indicates in early 2019 it has now been sold to another pub operator. We have visited this pub 10 times, seen 20 different beers and tried 9 of them.